Enriched with the vast range of flora and fauna that construe a wild forest, exploring the Bijrani Zone of the Corbett Reserve Park could be the soul-stirring experience for wild life enthusiasts. 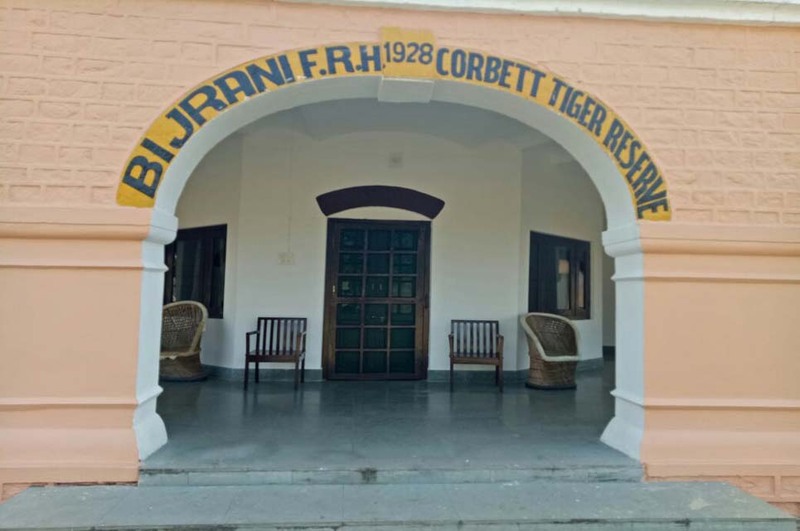 Visited by large number of wildlife and nature lovers from all over the world, Jim Corbett is the natural habitat for the wild animals and the oldest tiger reserve in India. Divided into various zones, Bijrani is one of the major zones of the Corbett reserve park and not a little less adventurous spot than the famous Dhikala zone. This zone is popular for its tranquility and having wide range of floral species than any other zones. Surrounded with the breathtaking beauty of raw landscape, spending one or two nights in the core of the forest at Bijrani Forest rest house could be an enthralling memory of your life. Bijrani core zone is also considered as the tiger rich area so there is an utmost probability to spot a tiger roaming in its natural habitat. The topography primarily consists of huge water drains, wide grasslands called chaurs and dense Sal woodland with comparatively drier milieu. 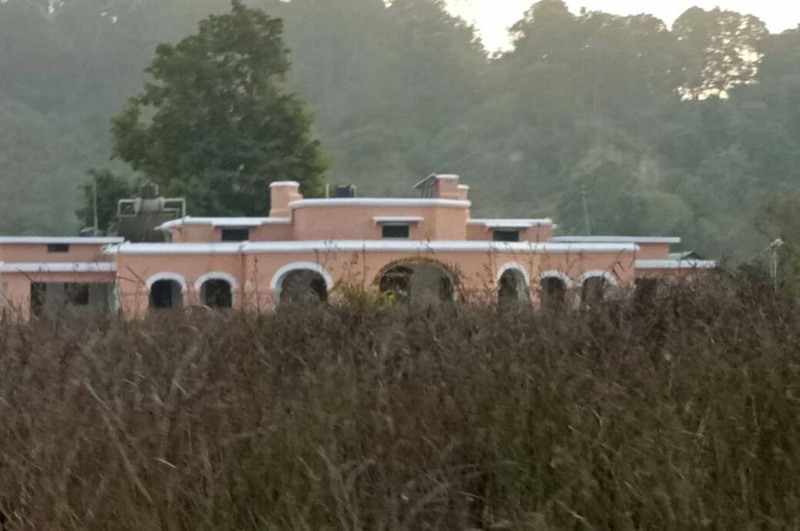 Two forest guest houses are situated within the Bijrani zone; one is Bijrani forest guest house and the other is Malani forest guest house. These govt. managed forest houses offer its visitors the facility to stay inside the jungle for maximum of two nights. In order to visit any of the two Bijrani FRHs, you have to pass through the Aamdanda Gate after getting a govt. permit. During the British period in India, the area in and around of Bijrani was preferred for the game of shooting wild animals and was the dedicated shooting block. But, now it is a tiger reserve area and strictly prohibited for shooting and killing any animal. The Bijrani forest house is a quiet and calm place with the birds chirping in background and occasional sounds of different animals, providing you almost mystical ambiance. Being home to various kinds of exotic birds, this zone is highly popular for birdwatchers. In this part of the Jungle, there is quite good chances of spotting a tiger, herd of wild elephants, sloth bear along with plenty of other animals. Bijrani FRH offers you night stay amidst the large forest in their beautifully built rest houses. 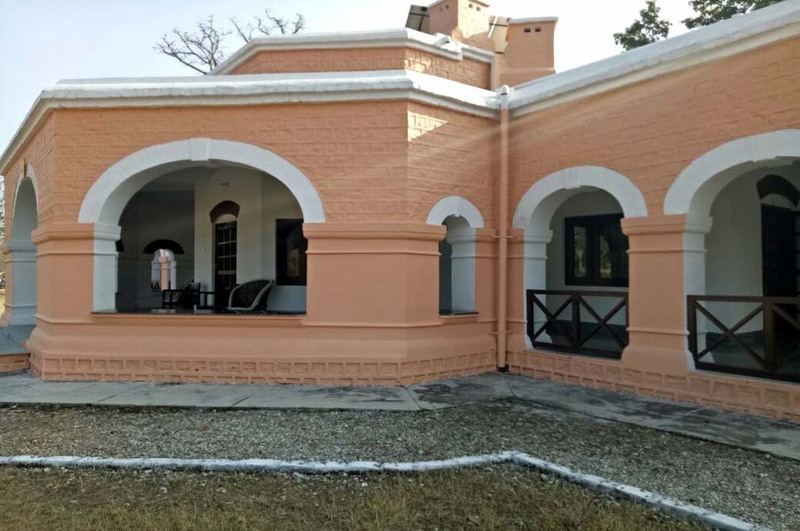 This lonesome forest abode consists total of 6 rooms which comprises 4 double bed rooms and 2 single bed rooms along with 1 dormitory consists of 4 beds. 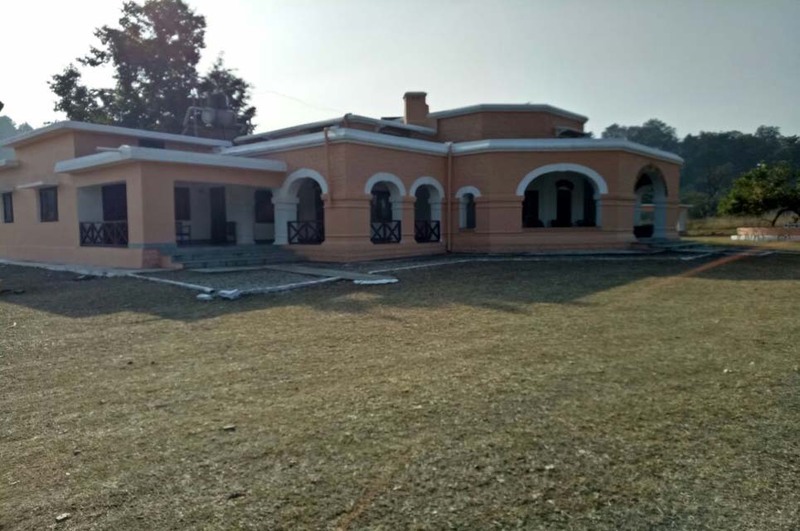 Though this forest guest house is located almost 9 km inside the forest from the nearby town Ram Nagar but lodging and dining here are fairly good. The rooms are very comfortable and bathrooms are neat and clean along with all the basic room amenities. The guest house complex has its own canteen and a restaurant offering the variety of tasty vegetarian foods as buffet meals at very affordable prices. The complex has large clean compound area around it where you can take a walk or just relax beneath the tree. The complex is covered with fences for the safety of people staying here. Tourists visited here often found telling how much they enjoyed here and praising about the food they had been served along with the warm hospitality of the Bijrani FRH staffs. The non-veg. food items and alcohols are strictly prohibited inside the park. Also, you should keep all your used personal remains and disposable items in a carry bag and later dispose it of out of the park after finishing your tour. The magnificent picturesque landscape of the Bijrani Zone can easily be explored from here. By using the facility of jeep safari, you can take a ride deep into the jungle observing animals and hoping to have a sight of a roaming tiger. If you want you can roam whole day in a jeep safari catching the glimpse of wildlife in large and capturing them with your camera. Along with the jeep ride, the elephant ride is also available to roam into the jungle but not too deep inside the forest. Though the Day safari is open for wildlife enthusiasts from 15th Oct to 30th June every year in Bijrani zone but the night stay at the forest house at Bijrani is open for tourists only from 15th Nov to 14th June every year. Other than the mentioned periods, this place is closed for all visitors because of the rainy season. In order to visit inside the restricted area, you need to obtain the govt. permit and to stay inside the forest lodge you have to book the rooms. 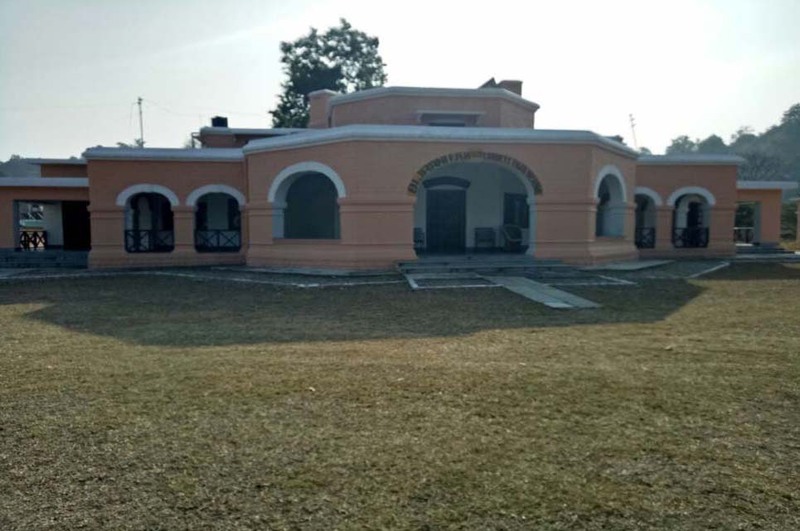 It is always good to book safari and forest rooms at Corbett national park in advance before visiting here so that you don't have to face any inconvenience here. Staying inside the forest in these forest houses is highly popular among wildlife lovers so it is impossible to get any vacant room on the spot without any prior booking. The entry to Bijrani forest rest house is through the Aamdanda gate. Aamdanda gate is situated about 2 km from the nearest town named Ram Nagar and the forest house is around 7 km from the entry gate. You have to show the entry permit to the forest guards at the gate in order to enter into the restricted park. You can only use the authorized vehicles to ride inside the park, walking or personal vehicle is not allowed. There is buffer area of around 5 km then comes the core area of the Bijrani ecotourism zone. The spectacular view of the rich lush wild nature will be in front of your eyes as soon as your vehicle enters from the gate. 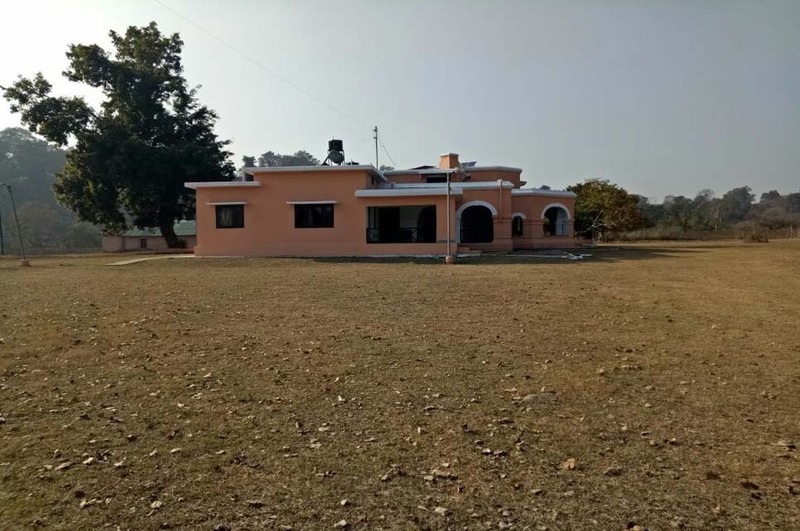 So, satiate your love for the wild life at this place and spend one or two days in the forest house to get the adventurous feel of being a part of the forest.